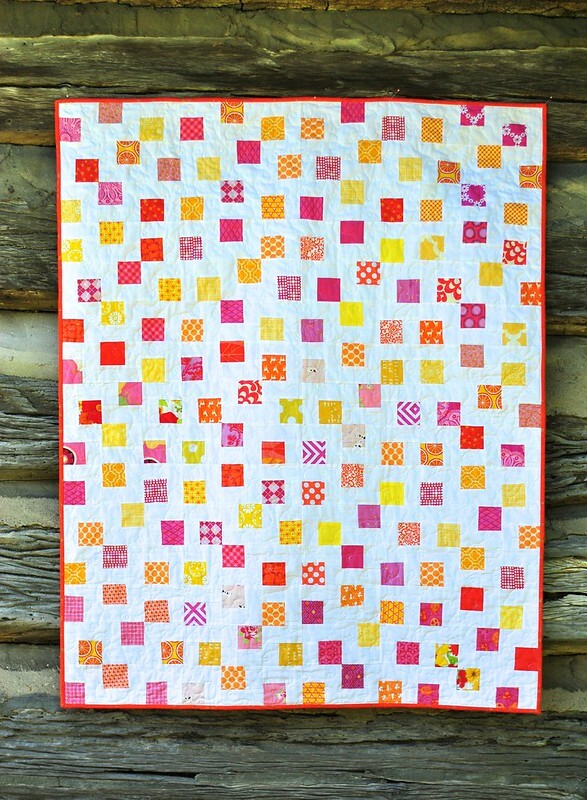 Two years ago, my charity bee and I sewed this happy quilt top with a pattern from my book Modern Bee. ... I'm a little embarrassed to say it has taken me this long to finish it! 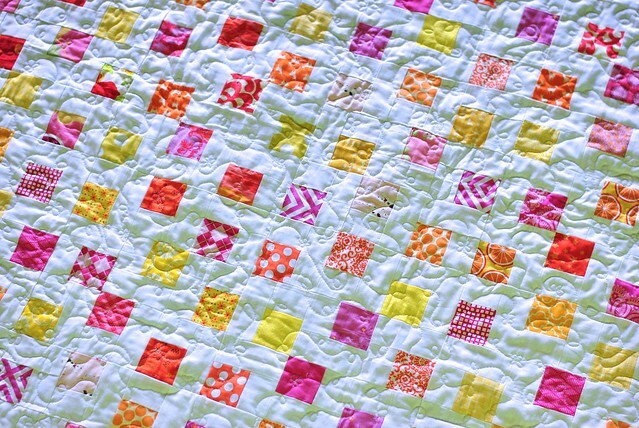 You see, this quilt could be YOURS if you'd like to enter to win it! Donate just $5 and you'll receive an entry to win this quilt, with all proceeds to benefit my good friend Danielle (@choosing_hope) and her family! So not only will Danielle and her family have moving expenses, but they will also need to replace most of their furniture and personal belongings. 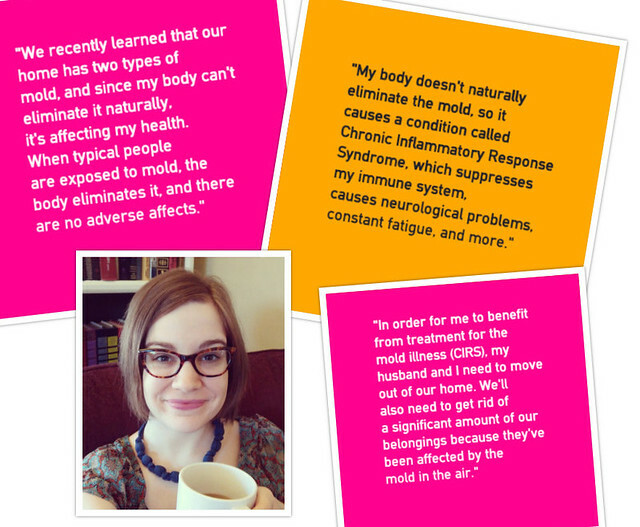 Because of high medical bills for her other chronic conditions (Lyme and POTS), this is especially burdensome. Click here to see more photos of the quilt! One thing I learn more and more as I get older is that we all need help at times, and it takes a very brave person to ask for help. It was a complete joy to be able to finally finish this quilt in honor of my friend's fight against chronic illness, and I hope it will bring a lot of joy to its new lucky owner! The quilt is 52" x 41.5" (large baby quilt size) and was free-motion quilted on my Baby Lock Tiara. It's made of quality fabrics and thread and is machine bound for durability. You can follow Danielle's blog, Choosing Hope, and learn more about her T-shirt fundraiser! 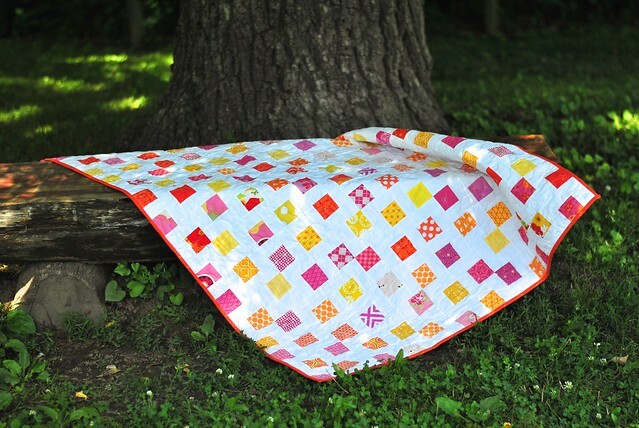 Each $5 donation equals one entry to win this quilt and all money will go directly to Danielle's PayPal to assist her family with moving expenses. No donation is too small. The winner of the quilt raffle will be chosen randomly from all $5 donations received by Friday, June 17, 2016. (If you donate $20, you'll get 4 entries, and so on.) If you have any questions, let me know and I'm happy to answer them here. Thank you for your generous support!